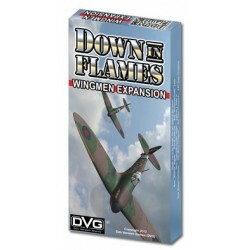 The Down In Flames Wingmen Expansion includes Wingmen cards for all the Fighters appearing in Aces High and Guns Blazing. Also included are 2 new Fighters and their Wingmen. 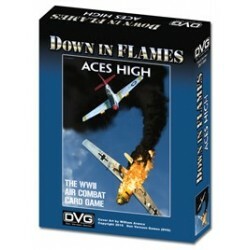 The new Fighters are likely to be the USA P-80 Shooting Star and the German Ho-229. 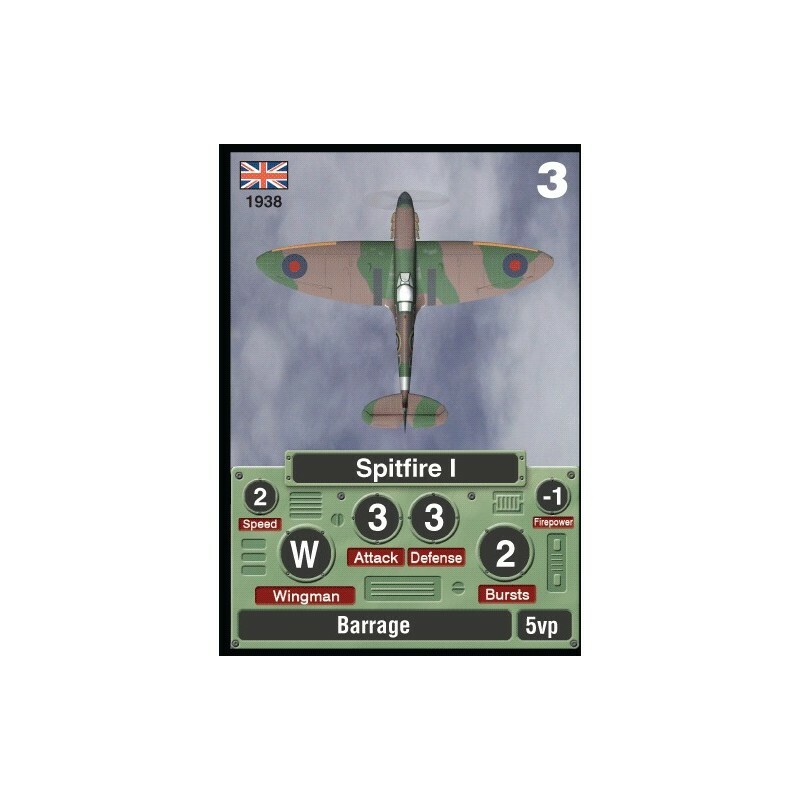 2 copies of each type of Wingman card are included. 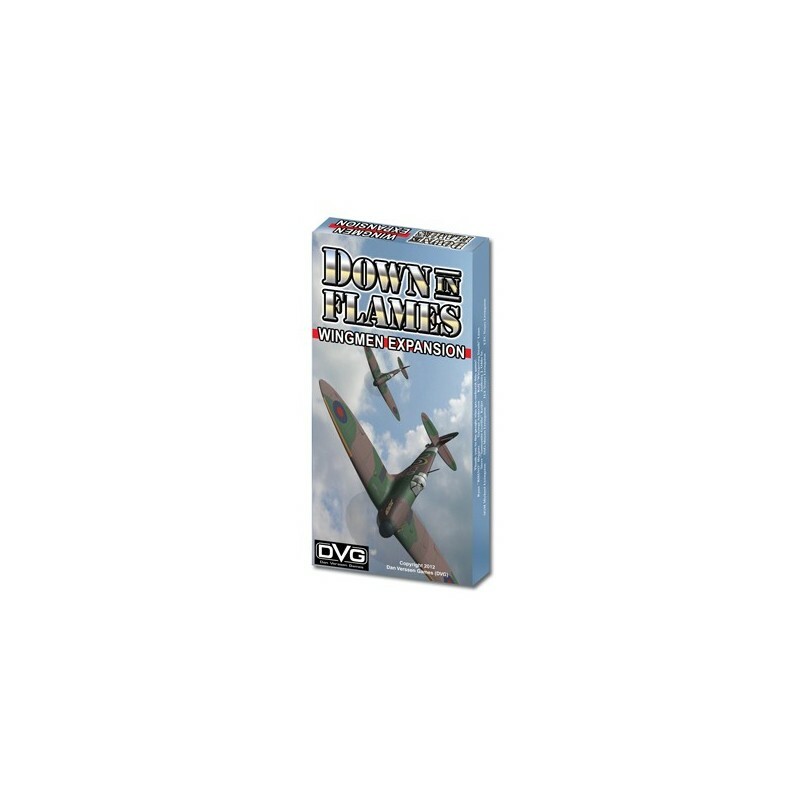 Wingmen aid your Leader in attacking, and help to protect him when under attack. The Wingmen rules are simple and easy to incorporate, fitting on to one sheet of paper. 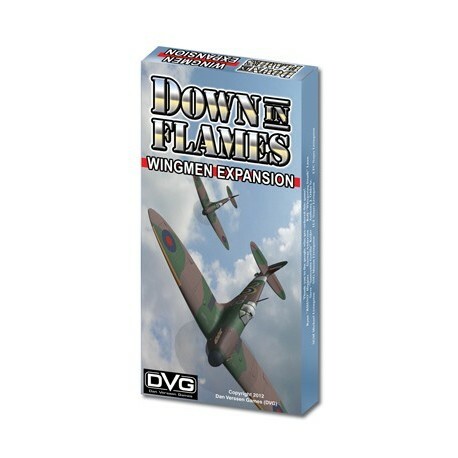 These include the rules for incorporating Wingmen into Campaign games. 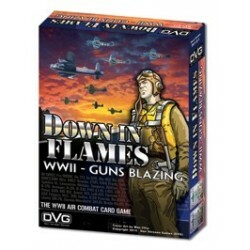 second opus de la série Down in Flames : de nouveaux avions, campagnes et cartes actions. Un jeu complet ne nécessitant pas de posséder le premier DiF.